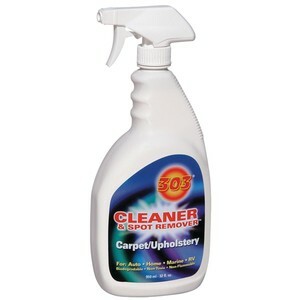 303's Upholstery Cleaner is perfect for your boats carpeting, upholstery, canvas or any other water-safe material. This boat cleaner safely removes soils, oil, grease, inks, juices, wines and even fish blood. Super easy to use, just spray on and wipe or rinse clean. Engineered to leave your boat clean and residue free.